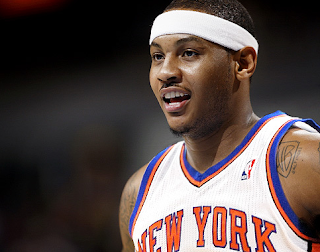 The Denver Nuggets traded Carmello Anthony to the New York Knicks tonight. Denver gets Wilson Chandler, Raymond Felton, Danilo Gallinari, Timofey Mozgov, the Knicks 2014 first-round draft pick, the Warriors’ 2012 second-round pick, the Warriors’ 2013 second-round pick and $3 million in cash. Anthony will go to New York, along with Chauncey Billups, Shelden Williams, Anthony Carter and Renaldo Balkman. Are the Knicks a playoff contender now?